Leave or stay: Theresa May loses again on Brexit deal - time to give up? In another Groundhog Day experience, and at the end of a difficult seven-hour meeting, the EU27 has agreed to give the UK until October 31 2019 to ratify the withdrawal agreement. The bloc has, however, attached three very specific conditions to this offer. Should the UK and EU ratify the withdrawal agreement before October 31, the UK would exit the EU on the first day of the following month – hence why it is being dubbed a “flextension”. If the UK fails to ratify the agreement by May 22, it must take part in the European parliament elections taking place between May 23 and 26. If the UK fails to meet this obligation, it will leave the EU on June 1. This stricter condition ensures that, in the case of a no-deal scenario, Brexit does not affect the EU’s institutional integrity. The future UK-EU relationship will not be negotiated during the extension period, only after the UK has exited the EU. As has been the case throughout the Brexit process, the EU is committed to avoiding a no-deal scenario, even if it is prepared for one. The EU has been somewhat trapped by its own rhetoric on this point. If a no-deal scenario came to pass, member states would have the unenviable task of explaining to their electorates why they had been unable to avoid the harsh effects of the UK crashing out of the EU. And there would be no solution to the Irish border. This rhetorical entrapment is the EU’s Achilles heel. It makes it almost impossible to deny any further extension of the negotiation process, should the UK request it. With Brexiteers such as Conservative MP Jacob Rees-Mogg calling for the UK to be as difficult a partner as possible during this period, disrupting the EU from within, it becomes even more important for the bloc to protect its institutions and processes. That’s why the member states have reminded the UK of its commitment to sincere cooperation and requested that it “refrains from any measure which could jeopardise the attainment of the Union’s objectives, in particular when participating in the decision-making processes of the Union”. To strengthen such a protection, there will be meetings concerned with the future of the EU to which the UK will not be party. Such measures confirm the status of the UK as a “departing member state”. The October 31 date ensures that the UK will not be involved in the appointment of the new Commission president or a new president of the European Council. Speaking with one voice on Brexit is becoming increasingly difficult for the EU27. They need to coalesce around a common position that accommodates their diverse national interests, but the same fault lines hamper them at each summit. The length of the extension has proven the most significant obstacle to unity. French president Emmanuel Macron wanted a short extension with strong conditionality to focus the minds of British MPs and thus force a rapid ratification of the withdrawal agreement. German chancellor Angela Merkel was open to a lengthier extension of up to a year to afford sufficient time to address the UK’s domestic crisis and avoid a series of short extensions and emergency summits. In the event, the EU27 had agreed before their meeting that a long extension would only be awarded if May had a credible plan going forward. She obviously did not. Again it’s up to the British prime minister to find a way forward. The withdrawal agreement is not open for negotiation. Only the non-binding political declaration that sets out the bare bones of how the UK and EU see their future relationship can be amended. The member states now expect the British government, the Labour party and the Westminster parliament to find common ground on their preferred post-Brexit UK-EU relationship. That is all May offered in requesting the extension, while accepting that the withdrawal agreement was not to be reopened. The EU side has also signalled that it would be open to a softening of the British red lines, including the possibility of agreeing to a permanent customs union – a key point in the ongoing talks between May and the Labour party. The EU27 also recognised the UK’s right to revoke article 50 at any time, but from their perspective, Brexit is a British crisis. It is the British political class who needs to find a solution to it. The ball is firmly in the British court and the EU is being as flexible as it can. With her political future in the balance, May has adopted her usual strategy of blaming British MPs for failing to agree to a deal. She continues to maintain that the UK “can still leave on May 22 and not hold those European parliamentary elections” if parliament ratifies the withdrawal agreement. Despite the high drama in Brussels, not much has changed since the latest extension – largely because of the situation in the UK. 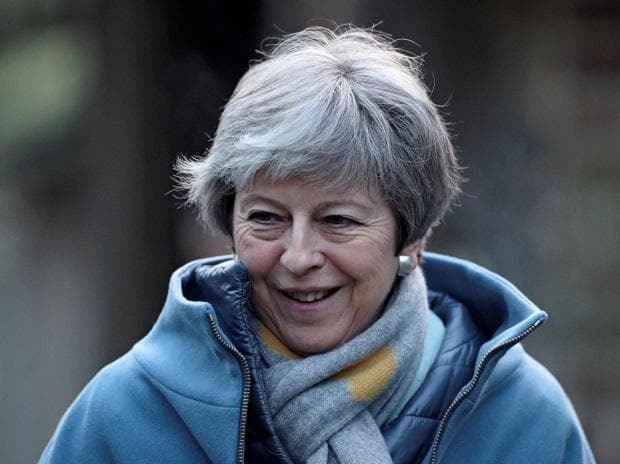 May is still a weak prime minister who has been unable to build domestic consensus around her Brexit red lines and whose Brexit agenda has been taken over by a parliament that cannot make up its mind about what relationship post-Brexit Britain will have with the EU. The EU remains in the driving seat of the process and is willing to show flexibility as long as the European interest is protected. However, as politicians prepare for the Easter holidays, Brexit fatigue and frustration permeate the political discourses in the UK and in the EU. As European Council president Donald Tusk put it: “This extension is as flexible as I expected, and a little bit shorter than I expected, but it’s still enough to find the best possible solution. Please do not waste this time”.